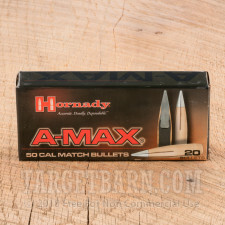 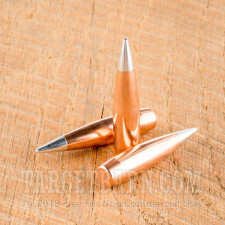 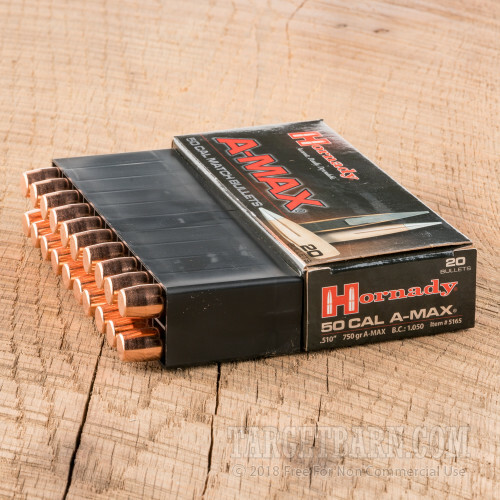 Hornady A-MAX bullets are designed to provide the unerring precision that competitive shooters need. 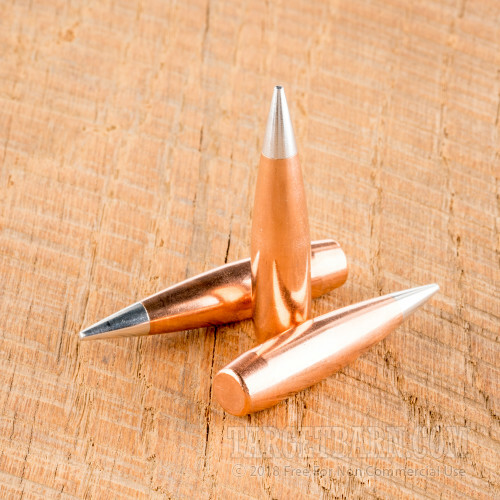 This .50 BMG version is constructed on the same principles as its smaller cousins, with an aerodynamic polymer tip designed to provide optimal stability in flight. Each round weighs in a full 750 grains and is constructed to match standards to achieve the full accuracy potential of this powerful cartridge. Hornady match bullets are manufactured in Grand Island, Nebraska using the company's AMP ("Advanced Manufacturing Process"), which ensures a high level of consistency in the copper jacket.